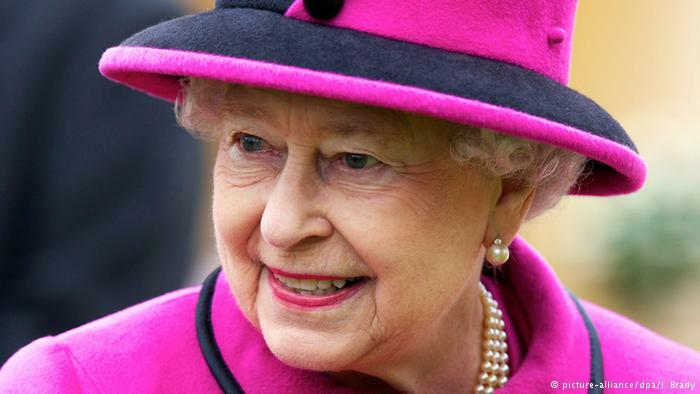 The queen in pink with a pink hat, the queen in blue with a blue hat, the queen in green with a green hat: that’s how we know her now. But was it always that way? Here’s a look back at her carefully planned style. 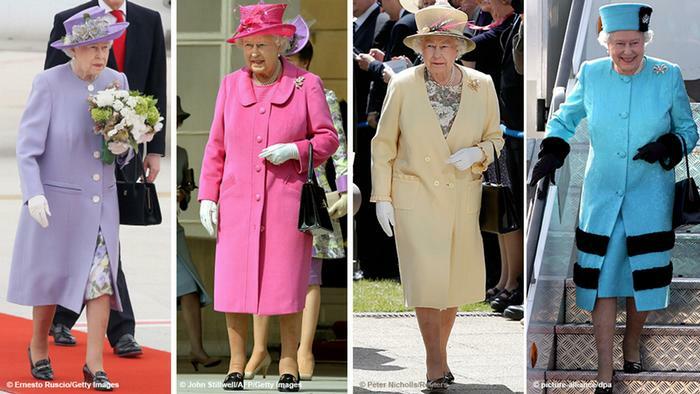 The Queen’s outfits are legendary. Her fancy hats always match with her suits and her hemlines are weighted down – to prevent windy wardrobe embarrassments. Then there’s the handbag: It always has the same shape. Classic, black, it’s just big enough to hold her lipstick, reading glasses, mint lozenges, and a handkerchief. That’s how the world has known her for the last past 60 years. 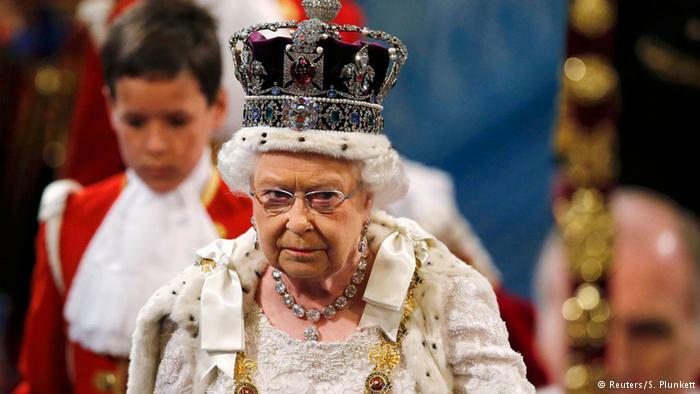 Queen Elizabeth II rarely shows up bareheaded. She has hats in all shapes and colors. Some are light and playful, trimmed with little flowers, while others look strict and sober. They always match with her outfits. Who could tell how many she actually has? It’s one of the world’s best-kept secrets. Even when she was younger, she was the queen of headgear. Here she is on the beach, donning a casual hippy style. This picture belongs to a series of historical photos of the Queen which were auctioned in 2008. A private collector can now smile with her every day. 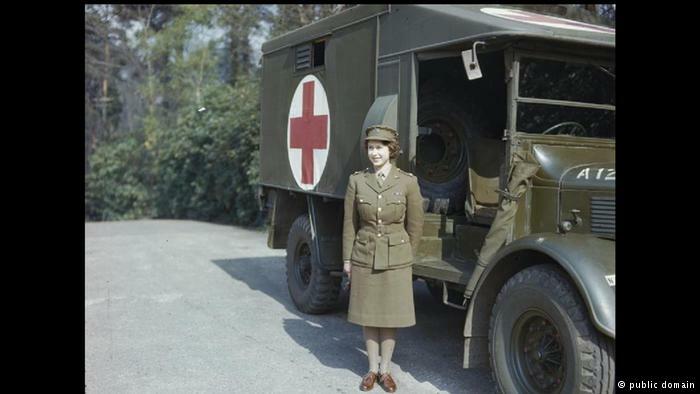 Even a princess needs to pitch in: During World War II, Elizabeth Windsor was part of the Auxiliary Territorial Service, the women’s division of the British Army. She learned mechanics and how to drive trucks. This picture was taken in 1945 – once again, with headgear. Two years after the war, Elizabeth married her childhood sweetheart, Prince Phillip of Greece and Denmark. Hundreds of ration coupons were collected to purchase her wedding gown: After the war, it was still difficult to obtain such valuable materials, even for the royal house. 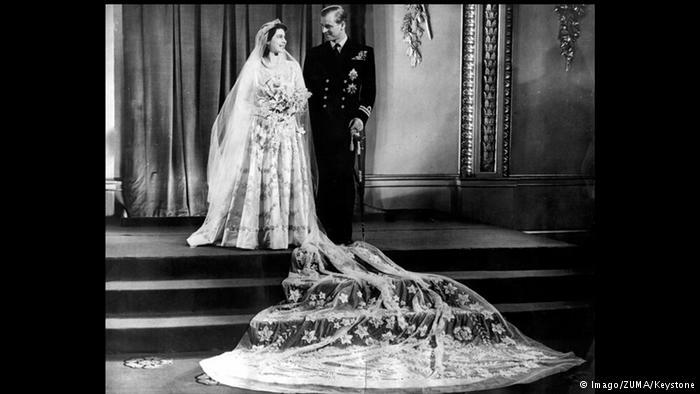 The satin dress was embroidered with 10,000 pearls and crystals and had a four-meter-long (13-foot) bridal train of lace. 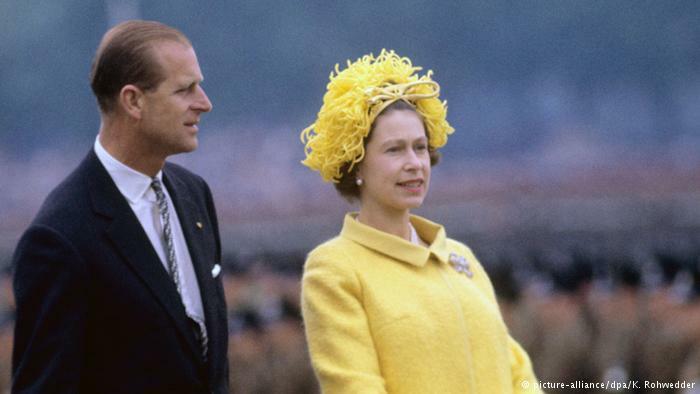 On June 2, 1953, Princess Elizabeth became the Queen. At the coronation ceremony, she wore a white silk dress with colorful embroideries representing the emblems of the Commonwealth of Nations. 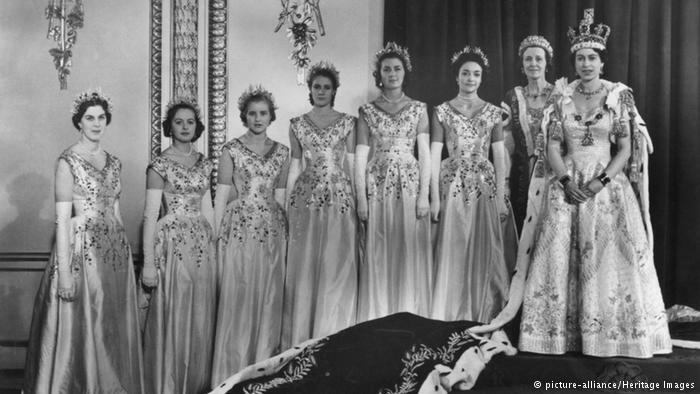 Attached to her shoulders, a five-meter-long (16-foot) velvet mantle was carried by six maids of honor. 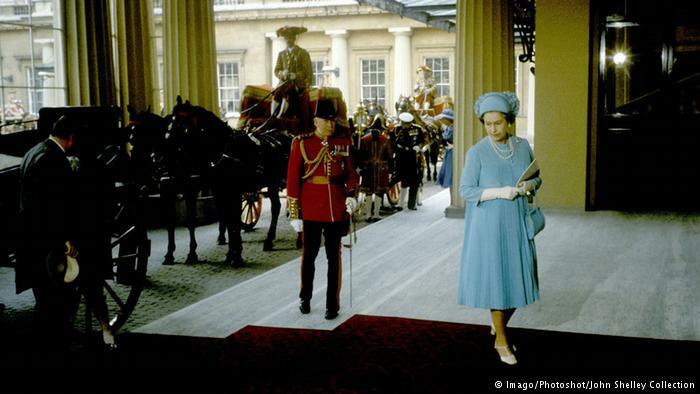 It was billed “the visit of the century.” In May 1965, the Queen was West Germany’s most welcome official foreign guest. 56 years had gone by since the last visit by a British state official – and two wars, during which both countries had experienced great suffering. 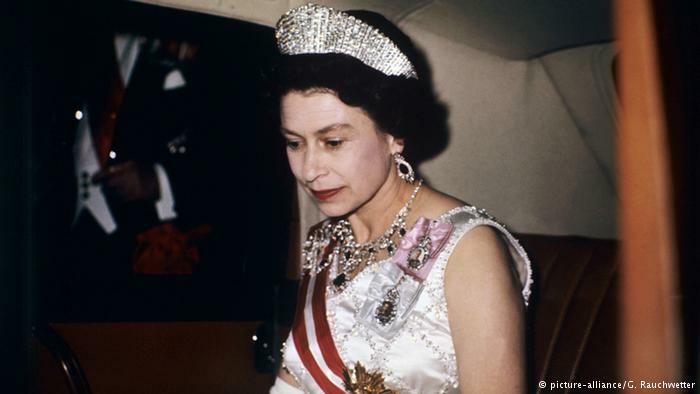 Queen Elizabeth II spent 11 days traveling through the young Federal Republic – and charmed the Germans with her outfits. After Elizabeth II enchanted Germany with her whimsical hats, she opted for a more traditional style for her Austrian state visit in 1969. She wore a white silk dress with a red sash, and a diadem instead of a hat. 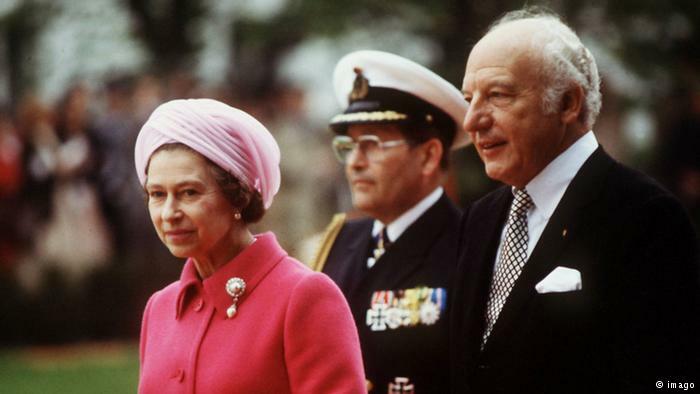 In 1978, Elizabeth II came to Germany for the second time. 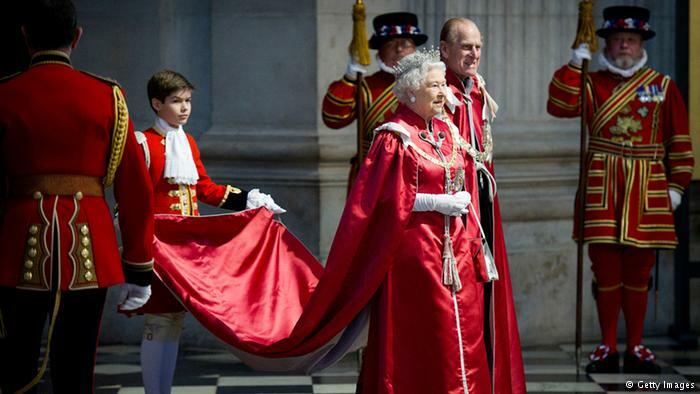 Although she was once again received with great pomp, the procession was more modest than the one for her first visit. Over the years, normalcy and even friendship characterized the two countries’ relations. Former German president Walter Scheel, pictured here, contributed to consolidating these ties. 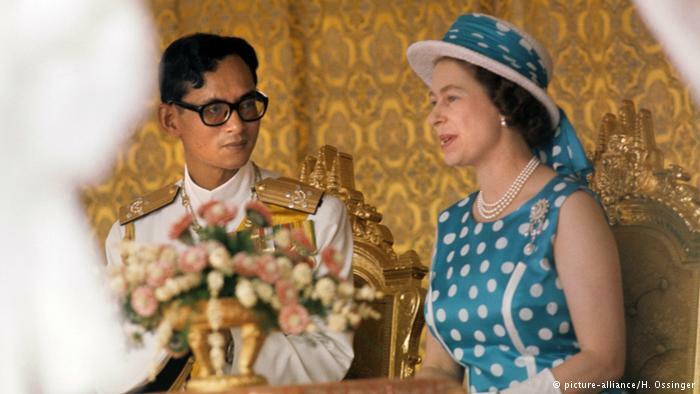 In February 1972, the Queen visited King Bhumibol in Thailand. She’d obviously have a stately gown and diadem in her suitcase, but also a few playful outfits as well (with matching hats, of course). Even though it’s cheerful, her summery ensemble on this picture doesn’t seem frivolous. 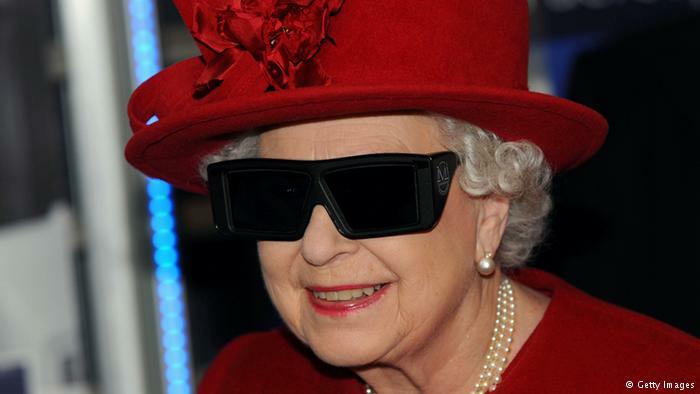 Nothing can diminish her royal style – not even these 3D glasses. The Queen wore them while visiting the University of Sheffield, where she was invited to operate an excavator with a 3D display. 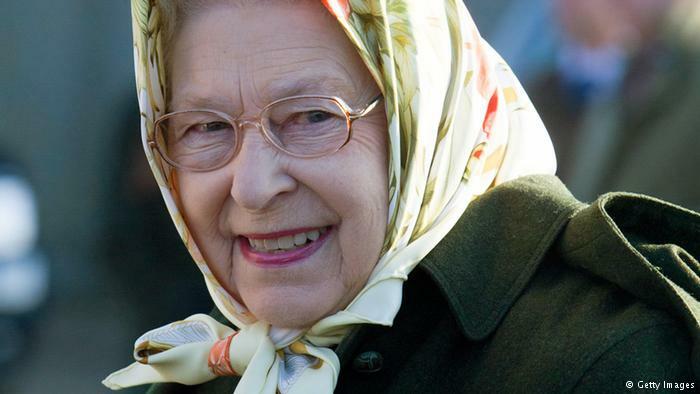 When the Queen is not on state visits, she often prefers a modest headscarf to her designer hats. Suddenly the royal guise is concealed: She rather looks like a good-natured grandmother, pictured here in 2012. 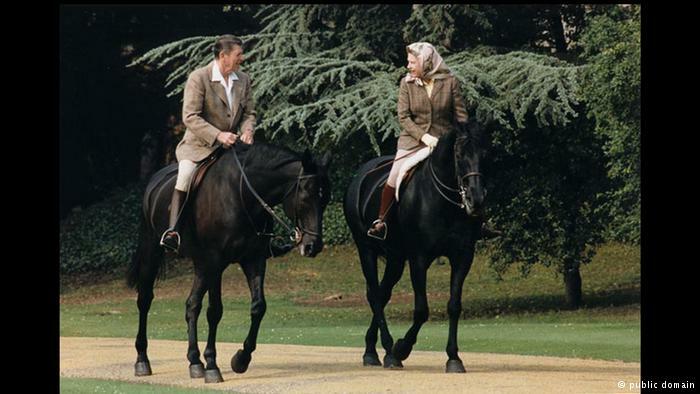 She kept it tweedy while riding with the former U.S. President Ronald Reagan in 1982. The Queen showed him around the grounds of Windsor Castle, her favorite residence. On July 29, 1981, Elizabeth’s son Prince Charles married Lady Diana in what was considered the “fairytale wedding of the century.” Although the Queen apparently played a major role in the couple’s union, she didn’t manage to steal the spotlight from her daughter-in-law that day – not even in bright turquoise. When Prince William married Kate in 2011, the Queen wore a much more relaxed dress than at the wedding of Charles and Diana. 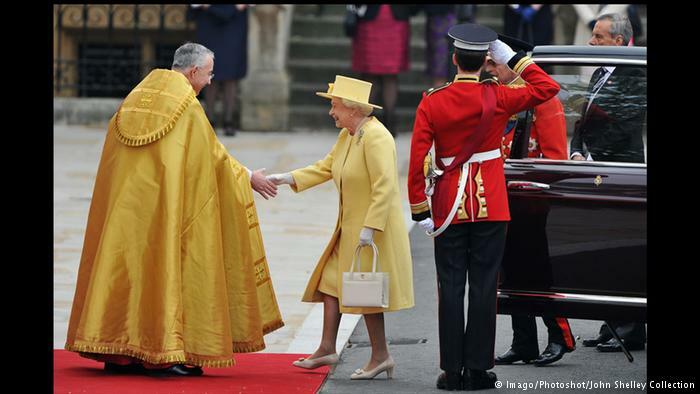 Here she’s pictured arriving at Westminster Abbey in a sober yellow outfit. 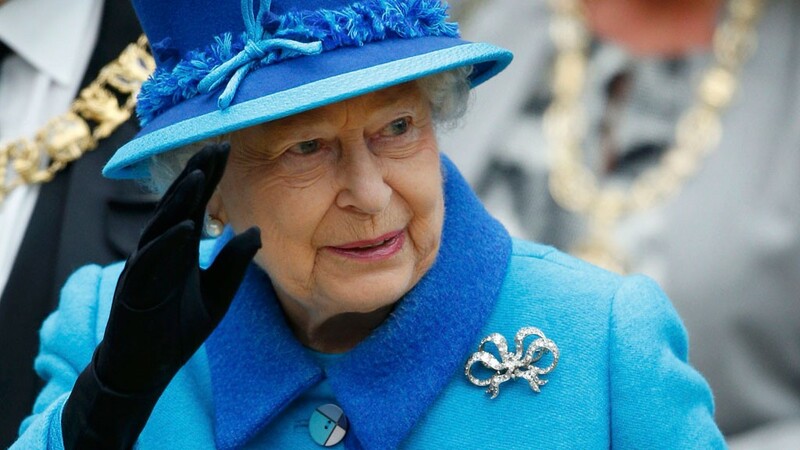 Every year for the Queen’s speech, she traditionally wears her official royal regalia. The speech always marks the formal beginning of a new legislative period for the British Parliament and outlines the projects of the government for the upcoming session. 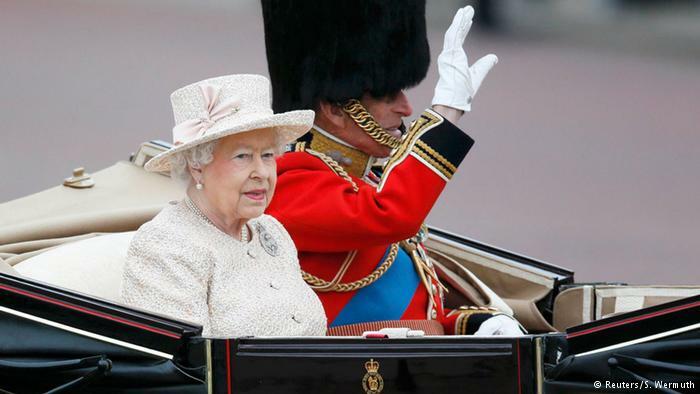 The Queen still dresses up in royal robes. Here she is with Prince Philip in front of Saint Paul’s Cathedral, during a church service in honor of the Order of the British Empire, a highly respected order of merit. The Queen turned 89 this year. 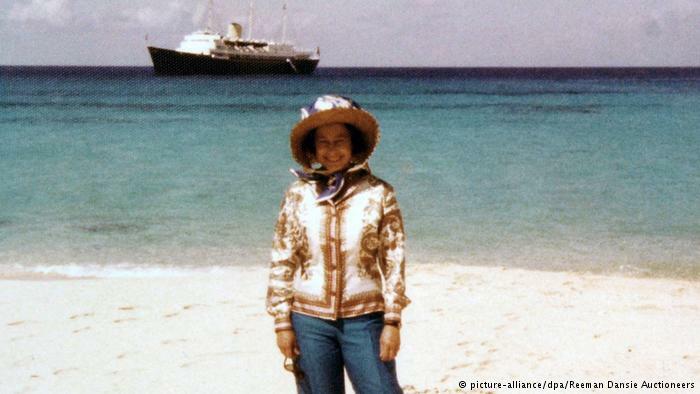 Although she was born on April 21, 1926, her official birthday is celebrated in June, because the weather is usually nicer for outdoor ceremonies. On June 13, 2015, she drove through London with her husband Prince Philip in an all-white suit, which matched her hair perfectly. 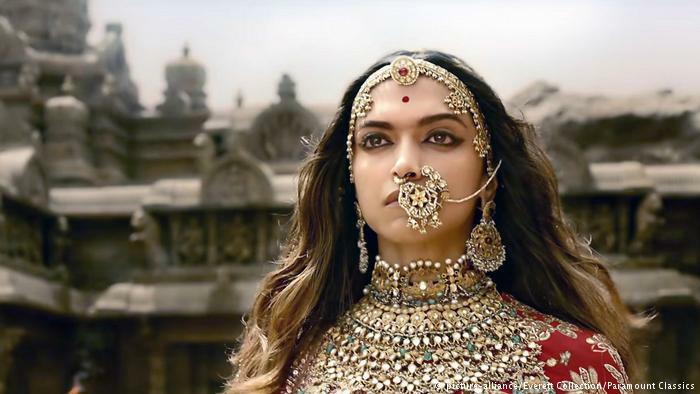 Hindu fringe elements in parts of northern India have resorted to mass protests and vandalism in a bid to block the release of "Padmaavat," a film about a mythical Hindu queen. Protesters say the movie distorts history. 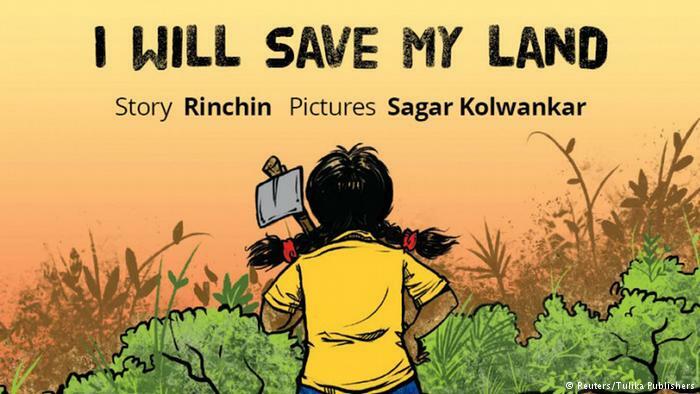 They have fled from wars, persecution and sexual abuse - and have a strong will to move on. 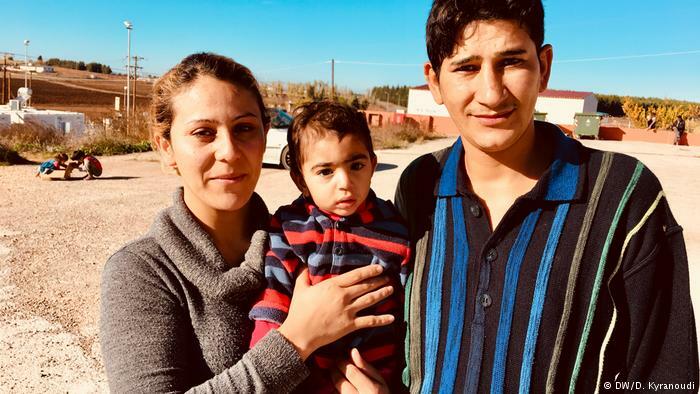 DW talked to women in several refugee centers in Greece about their hopes for the future and their adventurous journey.